Lemon GreenTea: Who doesn't love Unicorns? Who doesnt love unicorns? They represent every happy dream that we've ever clasped our little hands together and tried to wish into reality. They are magical. 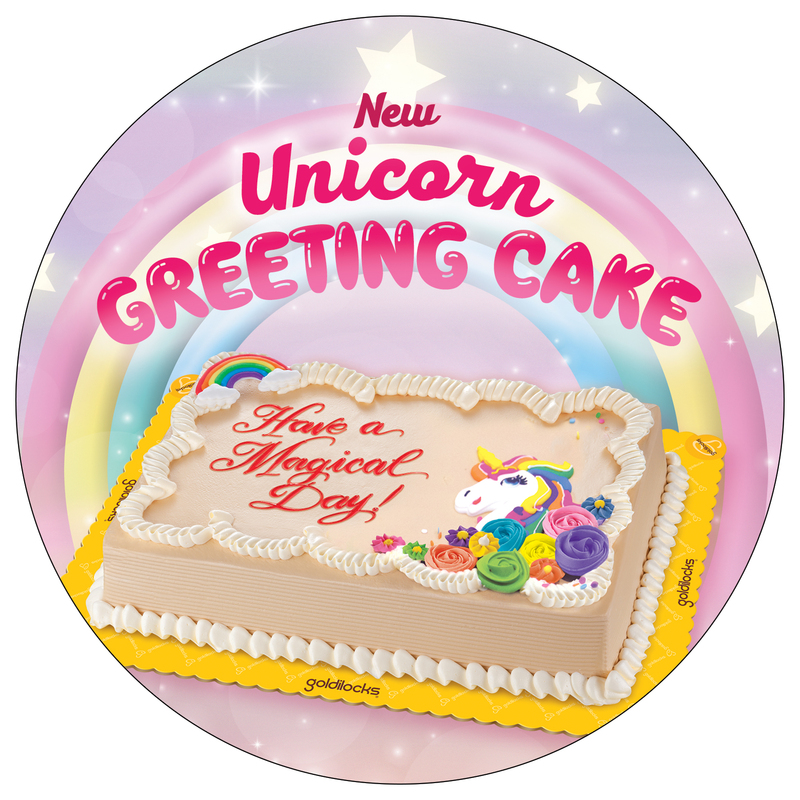 Unicorns represent everything we want in life and so does Goldilocks. 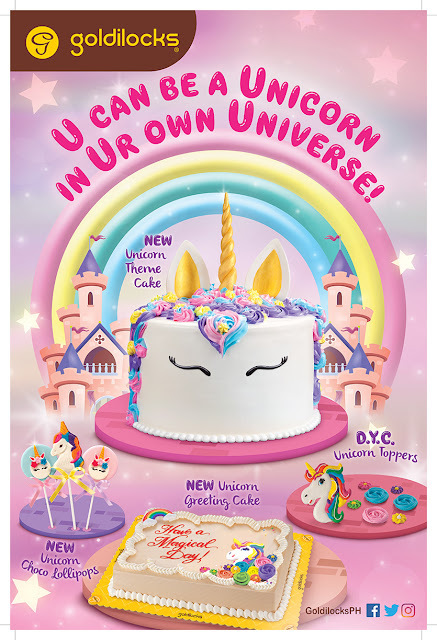 From the tips of their magic horn to the colors of their rainbow fur, everything about a Unicorn exudes wonder and awe. For little girls, a pet unicorn has always been a dream. Perhaps, they can even remember asking their parents for one as a birthday wish or Christmas present, hoping that one day their wish will come true. 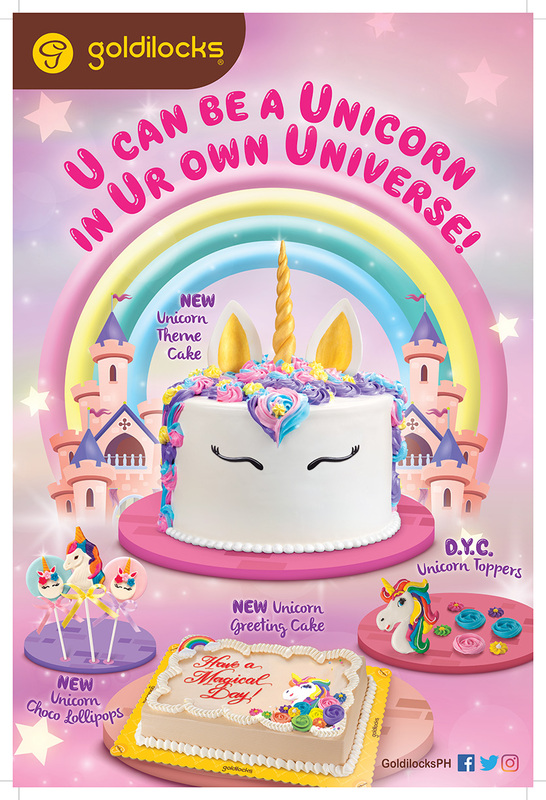 As these creatures will remain forever elusive to the grasp of their admirers, Goldilocks’ the country’s number one bakeshop, has created a way for you to feel the magic of their presence for any celebration with their all new Unicorn themed products!